Two master suites with king beds and an updated kitchen. There are three bathrooms and the home sleeps eight. Located in the heart of River Run Village. This spacious 1,025 square foot 2-bedroom, 3-bathroom condo sleeps eight and has granite countertops and stainless steel appliances. It is ideally located in River Run Village so you’re just steps away from shopping, restaurants and festivities. The entryway offers mounted hooks and a bench for your convenience while coming and going throughout the day. The living area features a flat screen TV mounted over a beautiful gas fireplace and a queen-sized sleeper sofa. Near the living area is a queen-sized Murphy bed. Additional sheets and blankets are in a closet. 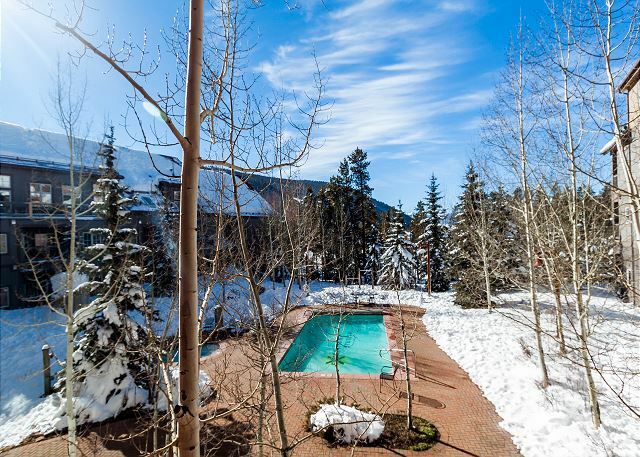 The private balcony can be accessed through the living area and overlooks the shared pool and hot tub with scenic mountain views. The full-sized kitchen is stocked with all the essential cookware and tableware to make a meal away from home. It features granite countertops, stainless steel appliances and slate floors. The dining area comfortably seats six people. 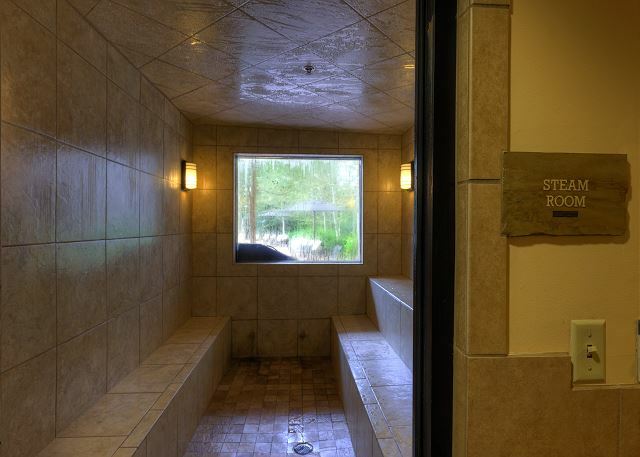 The guest bathroom is located just off of the living area and features a single sink vanity and a walk-in shower. All bathrooms are stocked with towels and an initial supply of toiletries. There are two master bedrooms. Both masters feature king-sized beds with Ivory White Bedding and have flat screen TVs. Both have en suite bathrooms with double sinks and shower/tub combinations. The unit was nice but looked like it could use some TLC. The skis pictured in the 1st image were velcroed to the wall at some point, but were just leaning against the wall when we arrived. In the 2nd master suite, there was a picture on the floor, leaning against the wall. The hanger was broken and never fixed. It seemed as if the microwave door was loose and ready to fall off at any moment (though it never did). One of the blinds on the sliding doors to the deck was broken and unusable. None of these things were a major negative in my opinion, but nonetheless.In regards to the property itself, only one of the 2 elevators was functional for 2 days. The first two days we were there we had no hot water, and the third day had no water at all for about 4 hours while repairs were being made. The jacuzzi had shorted out, so there was warm water but no ability to turn on the jets unless you could find an employee to turn them on inside the building. The heater on the pool broke, resulting in an inability to use the pool the last day of our trip. Again, nothing major, but just more evidence that the property may not be getting the attention that it, or your money, deserves. Our experience was awesome from check-in (they found us a wheel chair for my mother) thru the whole stay. Great places to eat, beautiful grounds, even the gondola people where very accommodating (explaining to us, as first timers, what to expect). A+ experience for us! Thank you. We arrived to the condo after an afternoon of sailing on Dillon reservoir, and it was exactly as described/pictured. We are two adult couples, so the dual master suite floorplan gave us the comfort and privacy we were looking for. Everything in the unit was in great condition and it was a comfortable place for us to hang out. Checking in was easy. The location in Keystone was great as there were numerous dinner and breakfast options within walking distance. I would definitely stay here again. The only downside was that there was only one parking space. But the property management company worked with us to find a great solution to that too, so it was no issue. The condo was exactly how it was advertised in the pictures. The price was great and we had lots of room for our family of 4. It was very nicely decorated and the bedding was comfortable. Everything was very clean and there were lots of items in the kitchen to use. This was our first trip to Colorado so we really didn’t know what to expect. A lot of the shops in the village area were closed for the season; something we didn’t know when we booked our dates (May 26-June 1). But you live and learn. We did have fun on our stay and it was neat that there were lots of different games to play outside in the village. One thing I wish the property managers did was provide a what to do booklet in the room based on the season you are there. There were several magazines about things to do but most were from several years ago. Overall we really enjoyed our stay. This condo was very comfortable and met our sleeping needs perfectly with each bedroom having it's own bathroom, and then having a murphy and pullout couch in the living area with a third bathroom. Our kids loved that the balcony overlooked the pool. The heated pool, hot tub, and steam room were nice, as well as the pool table in the lobby. 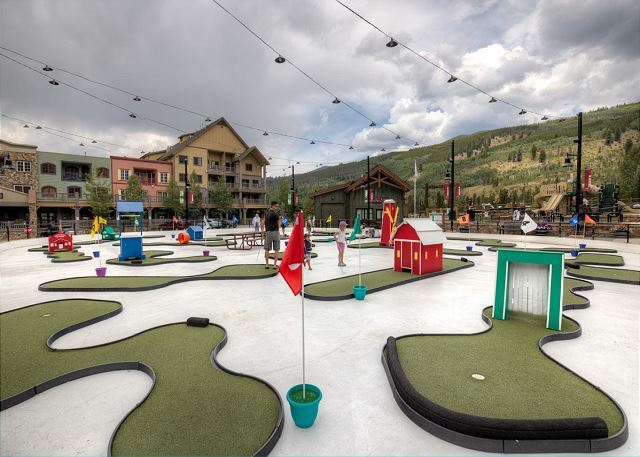 The ice skating rink (or mini golf, depending on the season) are right out front, along with a playground making it perfect for kids. We will be coming back for sure! We enjoyed our stay at this very clean, spacious condo. While we weren't there to ski, the condo is right at the base of the mountain and would be an excellent place to stay during ski season. Four of us were very comfortably accomadated. The check in process is involved, but easy enough once we figured it out. We had 4 adults and 3 children staying in the condo. It was reasonably comfortable, considering the fact two of the adults were a grandfather and an uncle who live alone. The kids are 6, 10, and 13. Grandfather and uncle used the couch and the Murphy bed. The unit had adequate kitchen utensils, kitchen supplies, towels, soaps, etc. All plumbing worked fine, water temp was very good. The couch and the large dining table with 7 chairs were great.The garbage disposal and the dishwasher both failed within the same hour. A seal in the disposal leaked, flooding the cabinet and the kitchen floor. Upon replacing the disposal, the repair person left and the dishwasher was run. The kitchen flooded again. The repair person returned quickly and found the drain hose to have a gap which he taped up. After that the dishwasher would run erratically and always have soapy water remaining in the sump after the cycle supposedly completed. Service by Summit County Mountain Retreats was excellent. The dishwasher also probably needs replacement. Its malfunctioning was reported upon checkout. We never set the thermostat above 50F and it still was too warm in the condo. A door or window often had to be opened to cool it down. Also, the blinds on the sliding glass door need repair. Property description was OK but we did not realize there was a ski locker on the first floor until we found it on our own. It would be nice it a map of how to get the the gondola was furnished - even posted on a wall. The property was clean and maintained. We were not aware the pool was year-around until we arrived. I would recommend the property to a friend. We appreciate the feedback and that you reported maintenance issues during and after your check-out. 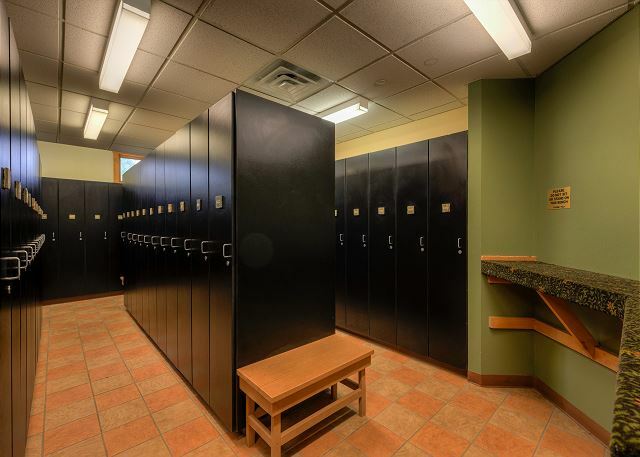 The online listing has ski lockers listed as one of the amenities and the Guest Information Portal gives the location and instructions for access. On the same page is information about the pool. The portal also has a map showing the area around Expedition Station and the general direction to go in order to reach the gondola. That same map has a link to the interactive map on our website that shows the River Run gondola in relation to the complexes in the village. We hope we can host you again! Had a great visit! The bed sheets needed to be changed after noticing horrible BO.. I'm super sensitive to smells like that. Everything else was clean and we all had a great stay. ycm. We had a wonderful family vacation at this condo. It is well equipped with cooking items. There is salt and pepper available. The hot tub is a MUST! It was super hot. Really convenient to town and short walk to lift. Would stay here again. The perfect place to stay. No other way to put it. 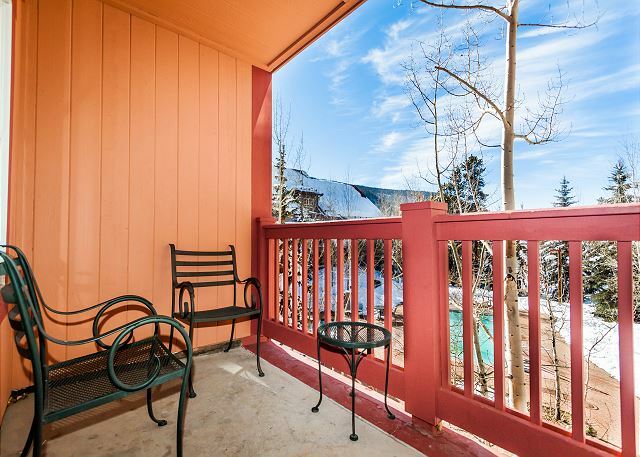 Close to the lifts, three beds and baths, and a fantastic condo with everything you need. I would rent from them every year if I could. Weather perfect. Friends awesome. Condo nice, comfy & very handy. Would suggest leaving my cooking supplies on hand. Only salt on premises. Otherwise we had everything we needed. 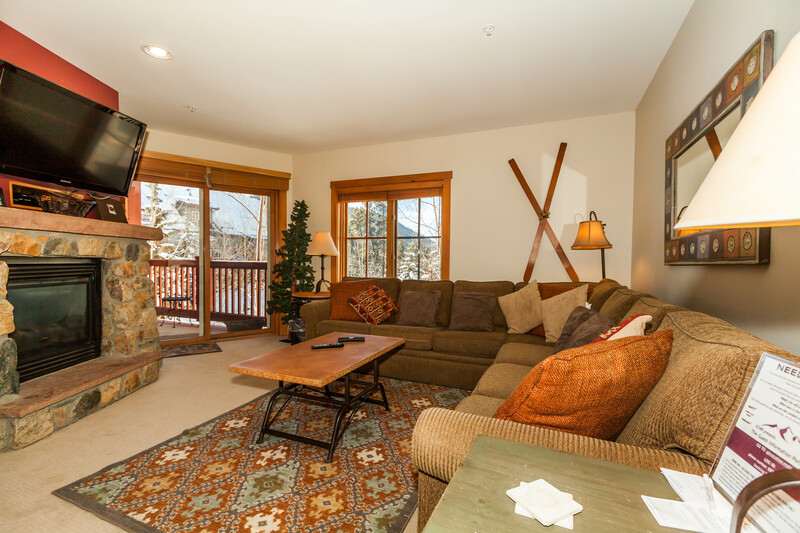 We were totally impressed with our stay with Summit County Mountain Retreats. Our condo was tastefully furnished,comfortable and very clean. The kitchen is well stocked with everything you need to make the cooking experience easy while away from home. The underground parking area was a huge bonus in the snow. We will definitely stay with them again. Overall it was good. Good location. The were several things that could have been better. The lights over the kitchen table didn't work. Made it difficult to play table games. Several of the dishes in the cupboard had residue soap in them, it left a terrible taste in our mouths. There were no instructions on how to use the DVR and it took a long time to figure it out. This has been a proble for the last several times we have stayed in this unit. Would I stay there again.? Yes but would hope some of these issues would be fixed. Thank you! We provide a mobile app for all guests that have TV operation instructions. We also offer 24/7 maintenance services to address any concerns that a guest has while staying with us. We loved this place! The unit was clean and comfortable. The location was fun- having all the shops around felt like we were in our own village. The pool was nice too. There were a couple minor maintenance type issues such as the toilet handle was loose, the screws were loose in a towel holder in one of the master suites, so it was starting to come off the wall, and some of the kitchen gadgets should be replaced as they were not functioning properly. 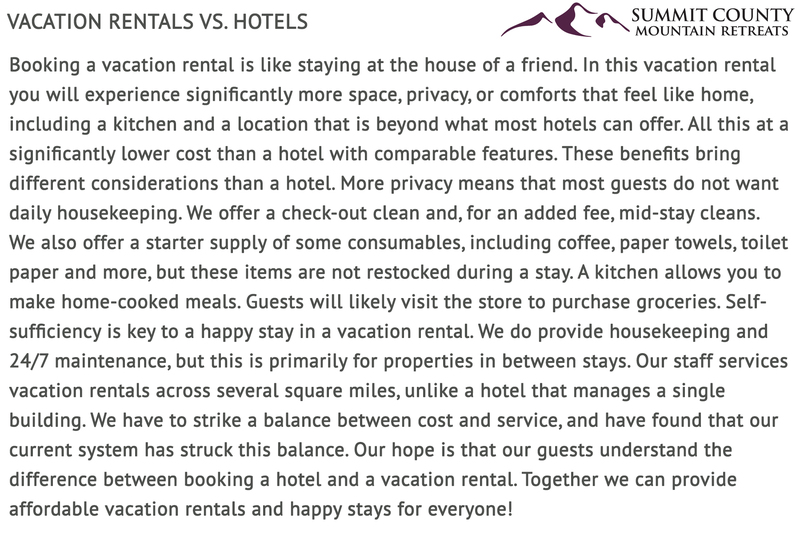 These were all minor issues, so the quality of the stay was not compromised. We would stay here again! enjoyed staying here for week in summer, close to hikes, different resort events, restaurants. hot tub was very nice after long day of hiking. My family and I had a wonderful trip to Keystone with Summit County Mountain Retreats. It was the perfect environment to enjoy to seclusion of the mountains while still offering all amenities. The trip created memories we will cherish forever. We had an incredible experience staying at Expedition Station #8582. The only issue I had was that the cleaning crew knocked on the door and opened the door 11 minutes before the 10am checkout time. A 10am check out is early, in my opinion. We were loaded up and were scheduled to be out of the room before 10am, so the early intrusion of the cleaning crew was a little invasive and annoying. Place was exactly as described. Cannot complain about the location at all. Having 3 bathrooms was a plus. My only complaint is that we didn't stay longer. 2 bedroom,3 badroom condo with extra beds. Super comfortable very well Equiped will all cooking gadgets, nice views and walking distance from the lifts. Really liked this condo. Comforts of home with a nice fireplace. 2 bedrooms were spacious. Also had another murphy bed that we utilized with an extra bathroom in close proximity. Beats the heck our of staying at a hotel as you could easily fit a family of 4-6 or 3-4 friends in this unit & you would all be together. The condo was wonderful and so was Expedition Station. My kids loved the heated out door pool and the hot tub after skiing all day long. Walking distance to gondola! Can't wait to stay again!! Came up with a group for a wedding and this condo was perfect! It has 3 full bathrooms which was very helpful while getting ready. Also sleeps 8 very easily! Will definitely be staying here again.Also the price was unbelievable! 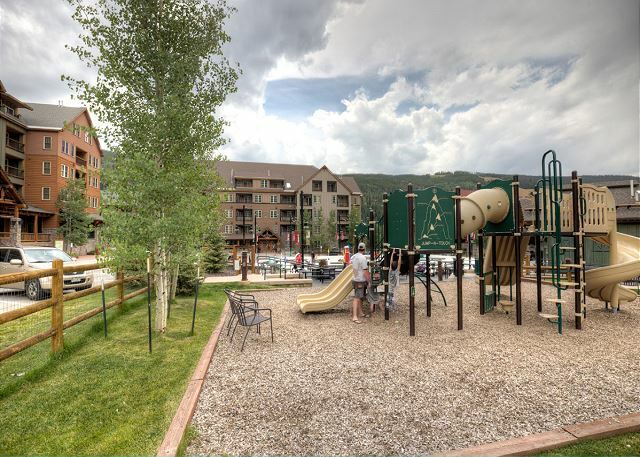 We have stayed in Keystone Village many times and this was the best value we have every gotten! 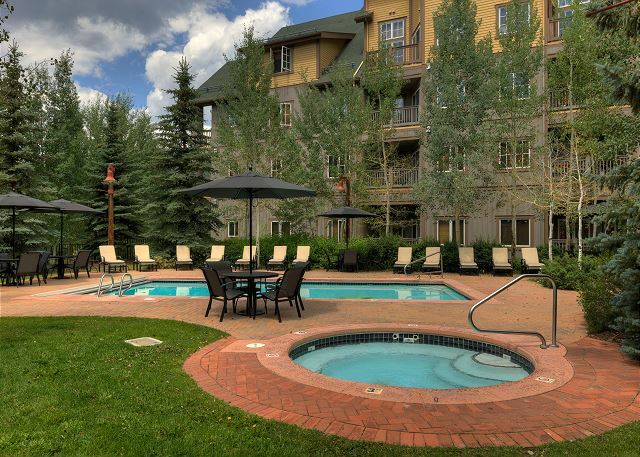 We had a great trip and this condo was very nice and contributed to our excellent stay in Keystone. The only recommendation I would make would be to put ceiling fans in both bedrooms. This is a corner unit with privacy trees around the windows so it is hard to get much airflow in the unit. There was a lot of fans which we used but they were loud. I think 2 ceiling fans would be a nice addition. We spent a wonderfully relaxing week at this condo in River Run. The size was perfect for our family of 5! 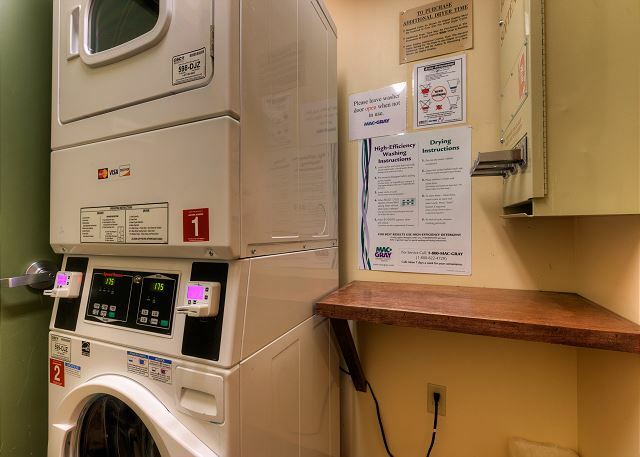 It was great having 3 bathrooms, and the laundry facilities were just down the hall. All that River Run has to offer was right outside the door, and the rest of Summit County's adventures were only a short drive away. The condo was clean, updated, and over looked the pool. We would definitely stay here again! Very clean unit and the pictures held true for what the unit looked like. Great location and easy check in/check out. Enjoyed the stay here! Very spacious and clean. We really enjoyed our stay. One drawback is that two of the televisions (the ones in the living room and guest bedroom) were not working properly. 10/10 would recommend and stay again. This unit is in great shape and very well stocked with supplies (kitchen/blankets/pillows/humidifiers/etc). We were not missing anything. Pool and hot tub were great for both us and the kids. 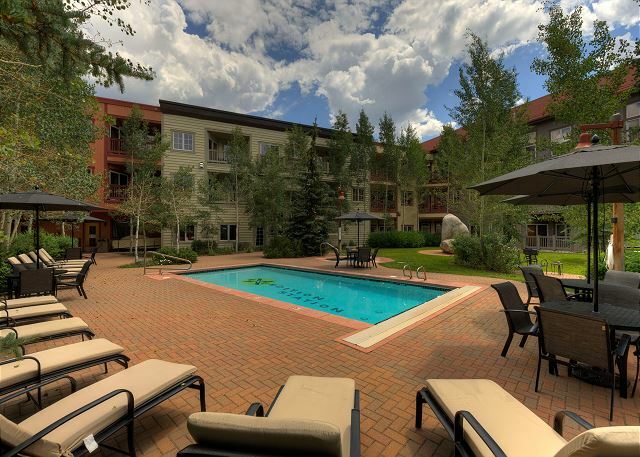 5 minute walk to Gondola and 2 minute walk to the shops/restaurants. Great not having to drive anywhere. Super easy check-in/check-out. Nice porch overlooking pool/hot-tub and grill area. While if officially sleeps 8 people, it would be really, really tight. I would recommend for 4 only, 6 in a pinch. When we head back to Keystone we would definitely look for this rental first. Property was nice a relatively close to the hill. I'd stay here again. Great place to stay in keystone! Loved the unit, very clean & lots of room. Only complaint, need to update mattresses & pillows. The mattresses were pretty bad & uncomfortable. Everything else was great! This was a very good accommodation. Very clean and comfortable and close to everything. New Year week: We're a family of 5 (3 teenagers) and this condo was an ideal size. Parents took one bdrm, 2 girls took other, and son took the murphy bed. 3 bathrooms made it very convienent in morning & evening to get ready without any waiting. Kitchen has everything you need. Nice table to eat at in living area which is well furnished & comfortable. I feel that 6 or more people would seem cramped. The complex amenities are nice too however ski locker on 1st floor is way too small for any more than 4 skiiers. Tips: Don't arrive any earlier than the 4pm check-in time as keys weren't in drop box because cleaners hadn't confirmed apmt was clean yet. Get groceries in supermarket at Dillon before you arrive in Keystone, small grocery shop in Keystone is super $$$. Norski rentals are good place to rent eqmt, easy & convenient. Gondola is a good 5 minute walk to condo. The condo was as advertised. Room was neat and clean. Bed was very comfortable. Very nice room overall. VERY NICE FACILITIES. ENJOYED OUR STAY VERY MUCH. WOULD RECOMMEND TO FAMILY AND FRIENDS. The condo was in a great location, close to everything. Mint not o my was neat and clean, but very updated and nicely decorated. Having two master suites was a real plus. The Murphy bed and third bathroom were great extras. Because of the time of year- early September, the rate for booking it was extremely reasonable for what we got. We would definitely stay there again and would recommend it to others. Nice condo. Carpet could use a cleaning. Had TV cable issues and had one full day without TV and a couple hours with maintenance in the room. They were nice though. Cable wires everywhere though and that makes the place look messy. We apologize for the cable issue and understand that it was frustrating for you as we tried to troubleshoot the issue. Great location, lots of bars and restaurants nearby.Place was clean and well taken care of. Pool and hot tub in great condition.Only complaint was the pillows! They were so soft they were not supportive at all. My family and I truly enjoyed our recent stay in Keystone. The location could not have been more perfect for what we were interested in doing while we vacationed. 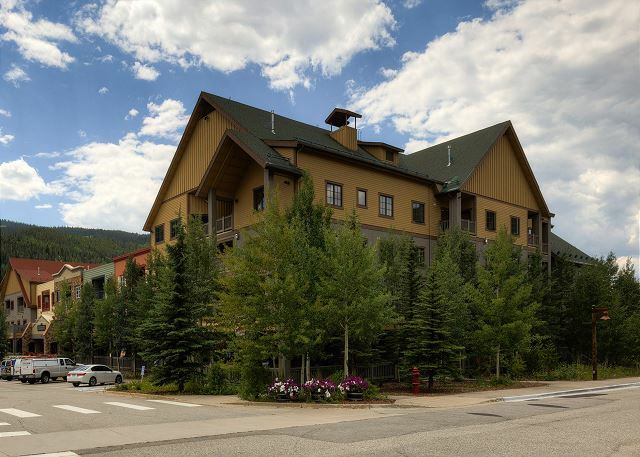 Expedition Station is located in a great area with shops, restaurants and a gondola right outside your door. We were able to rent bikes and ride to Lake Dillion and explore the area at our own pace. The close proximity to the Continental Divide proved to be very rewarding as my two boys could not get enough hiking there. The condo itself was plenty of room for the four of us. The "only" thing I would change is replacing the carpet or getting rid of it completely. It was very worn and could be replaced. That was the only concern we had with the condo. We would definitely visit again and our hopes are to stay longer than a week next time. Thank you for sharing your place with us. If you are looking for a comfortable, convenient, and cost-effective mountain holiday, this is the place! The pool area is secluded and lovely. 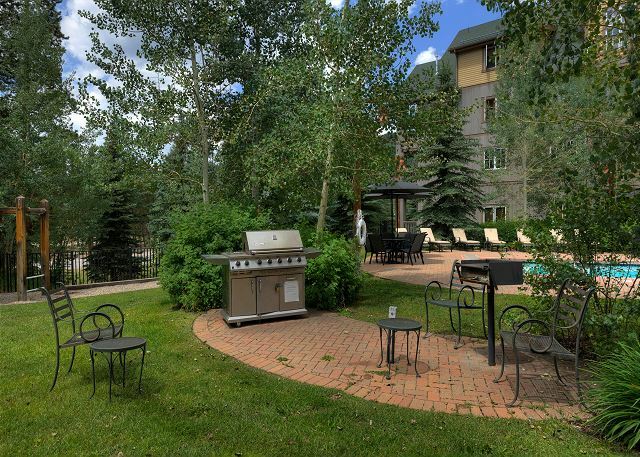 We have vacationed in many mountain towns over the years; but in our view, you can't beat Keystone! This condo was perfect! Lots of room, close to everything and comfortable! Overall a great place. 2 master Bedrooms with adjoining bathrooms were spacious and very nice. Murphy bed was easy to use and then store away for the day. Kitchen was just right. The only negative was the dining room table was always in the way. Could have used a few more square feet. The third bathroom was a real plus. Extra bonus. We purchased a 3 night stay through Groupon. We had stayed at Expedition station last year and had a nice room, but this one was just wonderful! It was plenty big enough to accommodate our group of 2 couples and 2 singles. A couple minute walk to the village and shopping and just as close to the gondolas! We had a fantastic time and will plan another trip using Summit County mountain retreats! We came for a getaway Halloween weekend, and even though Keystone didn't open we have an awesome time at the condo. Our family had a wonderful time in this warm, beautiful condo! The property was very clean, tastefully decorated and the beds were super comfortable. Two couples stayed at the condo for a long weekend. It was exactly as advertised and in an excellent location. Third bathroom was a real plus. The unit was very clean and well-stocked. I would recommend this property. The size of the unit was exactly what I wanted. The condition of the carpet was bad and the throw rugs did not help the problem. they were serious trip hazards. Only one lamp in the living area worked. The Patio was nice and comfortable for outside reading. The pool and hot tube was very clean with an excellent temperature. The kitchen was well equipped. If the mentioned problems are addressed, then I may consider renting this condo again. Otherwise I would not. This was a great vacation condo. Nice lay out, very clean, and convenient location. The place was very nice & very comfortable. 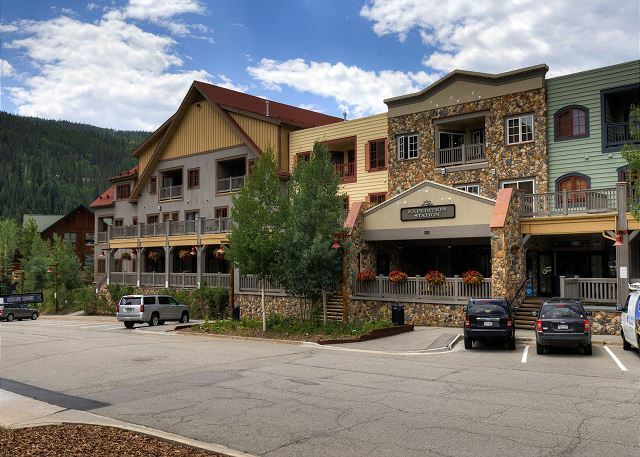 We really enjoyed our stay at the Expedition Station and were quite impressed with the size and condition of the place that we stayed in, it fit our family quite nicely and was a nice way to spend the short time that we were in Keystone. Loved the big kitchen table and kitchen. Other than the card keys not working when we arrived and the coffee maker broke, the condo was great. Perfect location to the activities. Pool and hot tub a nice treat. Would definitely stay again! We enjoyed our one night stay in this clean, well laid out condo - short walk to the mountain, restaurants and stores. We loved the two bedrooms and our 12 year old boys loved the Murphy bed and the fold out couch! Well decorated and cleaned. Thanks! Great place to hang out with the guys for a "Wild Card Weekend!! I came here with my family to celebrate my 30th birthday and it was so fun! We were very pleased with the condo --it had everything we needed. It was very comfortable and I would definitely enjoy coming here again! This was a great place to stay and our family enjoyed the week. 3 couples stayed here for a wedding, and decided to make a weekend out of it. We were all very comfortable in the condo as it was perfect for our group. There was plenty of room for all of us to fit comfortably. Also, we cooked and the kitchen had everything we needed, it was like I was at home. I know that we would definitely stay here again next time we are up in Keystone. We played golf at great nearby courses and our wives shopped and took in the local spa. Pool and hottub were great and being able to walk to restaurants, grocery, liquor, etc was a definite plus. Would stay here again. Great condo and a great location. Really exceeded our expectations - I would highly recommend this condo for anyone looking for a great summer or winter get-away. great condo for a downhill trip! Great condo! Had everything we needed plus some! Whould stay here again. The condo was very nice, all appliances were newer and in great condition. The location is perfect for events happening in the River Run area. We hope to stay again! Beautiful property in a great location. We hope to visit again soon! The property was clean and located with in walking distance to the lifts. It was great having three bathrooms. I wish there would have been enough towels for the week, or more brought in mid-week. The laudry down the hall is expensive. Thank you for staying with us. We provide 8 large towels for a 2 bedroom, plus several hand towels and wash cloths. Hotels provide daily/regular towels. Condo (other peoples homes) generally provide a larger quanity of towels, but washing is required for longer stays. Room was up to date. Beautiful and clean. Not a single complaint if I could think about it for days. Over all can't wait to return. My family and I stayed at this condo for 2 nights in February. We had a great time. The condo was beautiful and it was very close to the Gondola. Spacious for a Family of Five! We loved our stay at Expedition Station #8582, it was spacious enough for our family with teen-sized children! We loved the kitchen and sectional sofa (didn't use sleeper sofa, only the murphy bed) and the third bathroom was especially helpful. The condo location was furthest from the gondola and the kids complained a few times about walking in their ski boots, but it was not a problem overall--maybe 3 to 4 minutes walking. The benefit to the location is that it is in a quieter area rather than in the center of the village. We did not love the bed pillows; they were very firm and seemed to make our headaches worse--but that would not keep us from booking this unit again! Thank you for a WONDERFUL time! Loved it... Will Be Back! We had a great time and were super comfortable. Thank you for your timely response (Kris) and for getting us all set. We will be eager to rent again! The location of this condo is perfect. You can walk to shops, restaurants and the gondola. Lots of things for kids to do. One negative...Only one fan for the whole condo. We needed at least two fans. Was very hot during the day and took quite a while to cool off with only one fan. Cleaning fee also seemed very high. $109. The rental agents called to make sure we had the right directions to our unit! We had already found it, and we certainly enjoyed our stay. 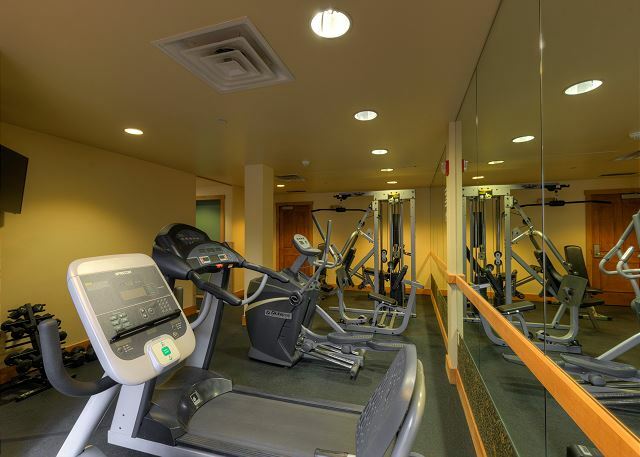 The amenities are outstanding, particularly yhe pool and locker room facilities. We had a 2 BR unit with 3 baths, which was particularly good for our group. The kitchen was well stocked, and we got great use from the Murphy bed! We had a great stay at your property. It was nice to be so close to surrounding towns. We were able to find a lot to do. The only complaint we had was that the Expedition Station hot tub was out of order while we were there so we had to walk to the Dakota Lodge to use a hot tub. This wasn't a huge problem but it was very chilly out.All in all...a great experience. 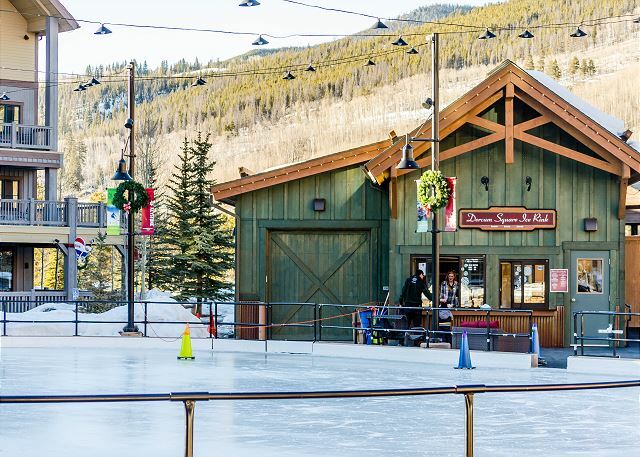 We will recommend it to others and have already began planning our next trip to Keystone!